Sunny, cool and otherwise a nice day. Not like this week which was cold, windy, damp and did I say cold? On the drive home last night I saw a clump of snow drops in a yard while I was stopped at a light. 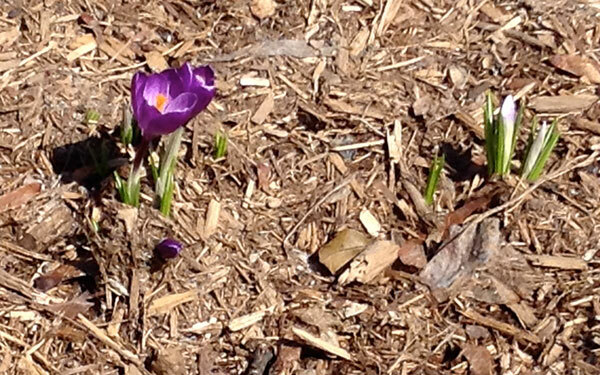 I came home to a tightly closed pair of purple crocii. With the sun they are open today. 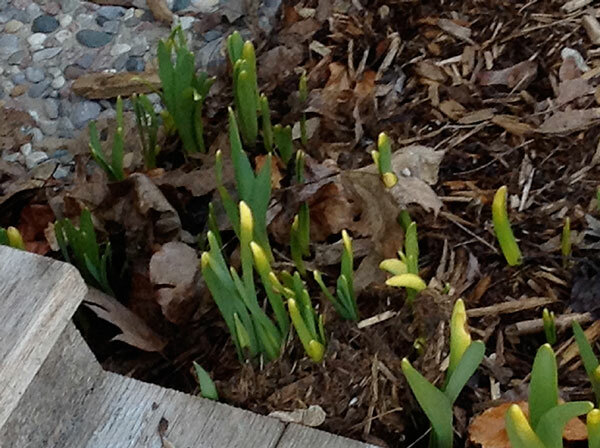 The state of the daffodils by the front door. 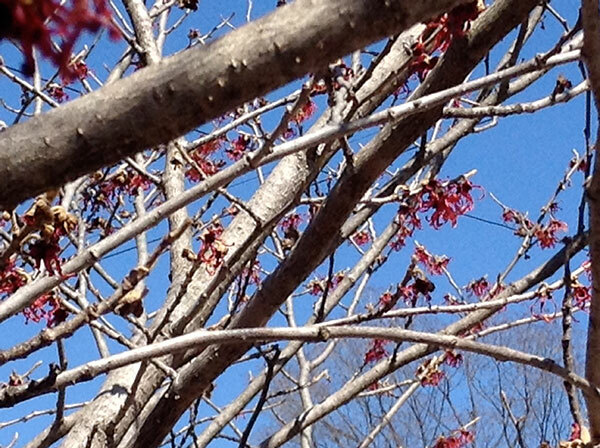 A close up of the witch hazel at the door. The mulch is to wet and soft for me to get any closer.